← One more and I’m out! Weather conditions were quite a bit worse today than the first week. Cold, some rain, and of course wind. I decided to ride Belgian-style without any cold weather gear on. I actually felt decent and ended up passing a few people. I expected to hit the line and see a bit of improvement on my time by how much better I felt, but actually lost 15 seconds or so. Chalk it up to the weather I guess. My placing was dead center in the field, just like the week before. 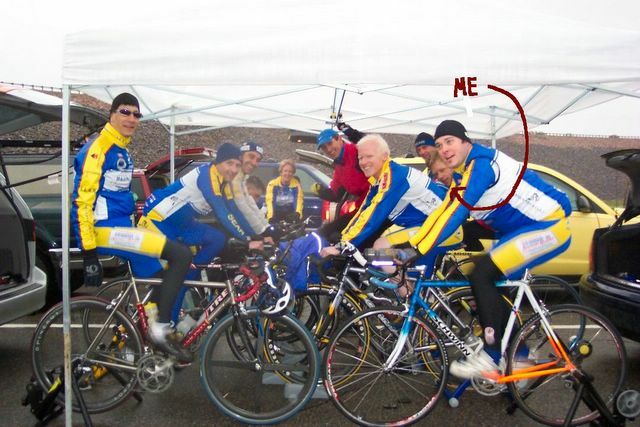 Posted on April 21, 2005, in bike, race. Bookmark the permalink. Leave a comment.